Social Enterprise and local charity, Carn Brea Leisure Centre Trust, is looking for local businesses to become community sponsors. Companies who join the scheme will receive advertising and promotion for their company as well as a chance to help shape the future of the trust by becoming corporate members of the charity. 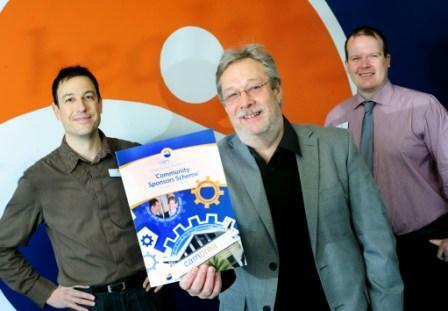 Integral Printing Services, based at Carn Brea Business Park, manage Carn Brea’s design and print requirements and recently became the inaugural Community Sponsor after helping the centre put the scheme together.